San Manuel’s Indian Bingo and Casino has become “All Thrill” this season. 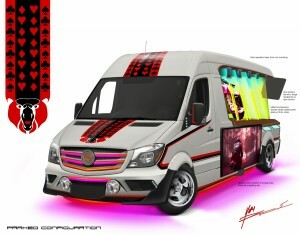 The crew at Action Vehicle Engineering created a thrilling ride to match. 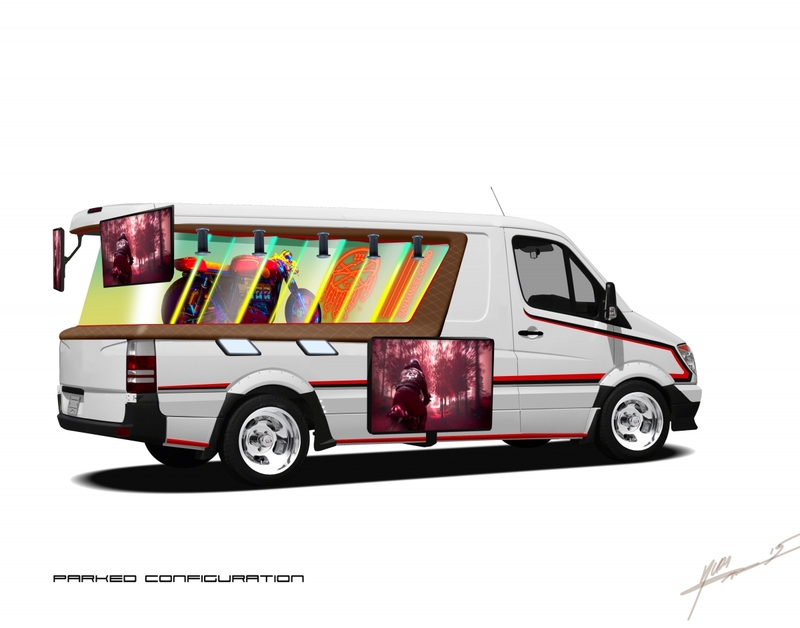 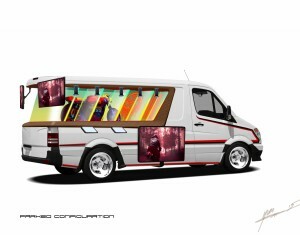 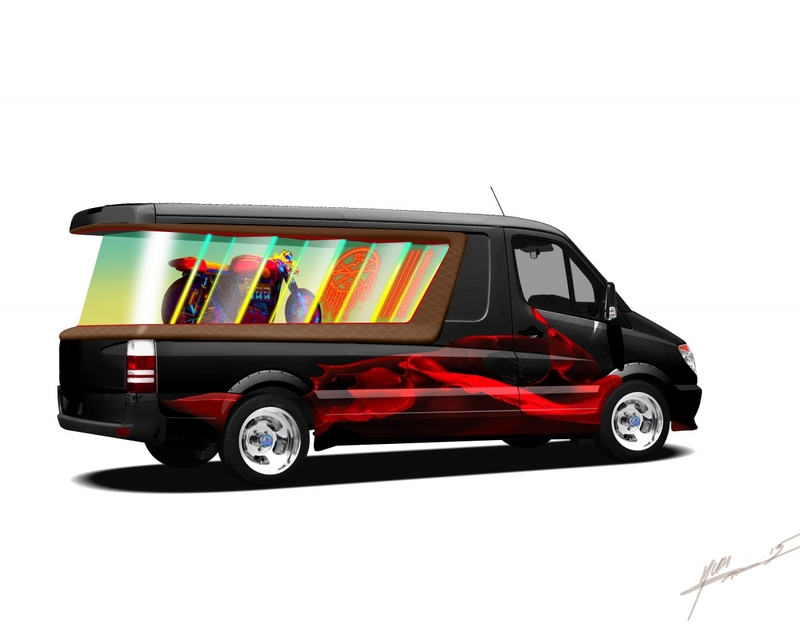 This sweet ride is packed with 5 high definition 1080p flat screen TVs and retractable speakers. 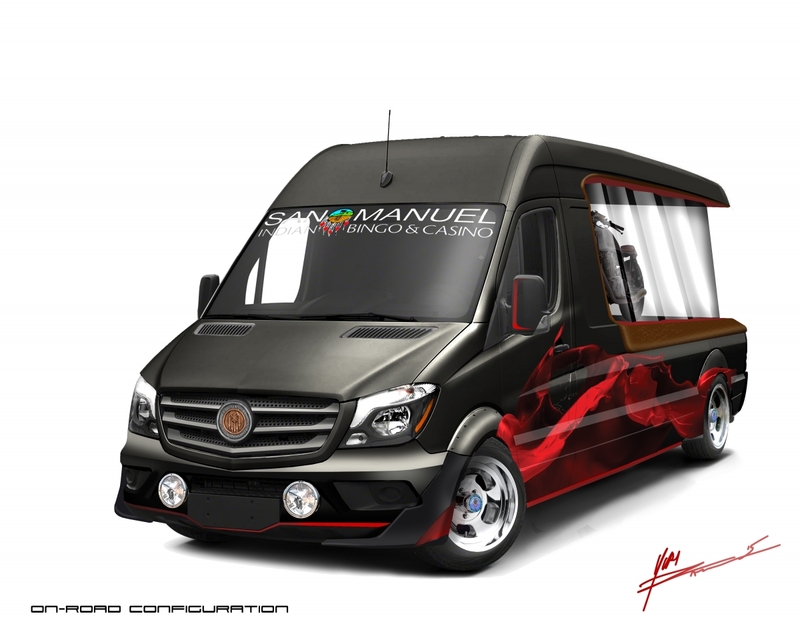 But to showcase the custom San Manuel motorcycle, the team fabricated and installed a custom thick plexi-glass viewing windows, lined with color changing LED lights to enhance the effect. The project wouldn’t seem complete without its’ full custom wrap and a nice set of custom wheels. 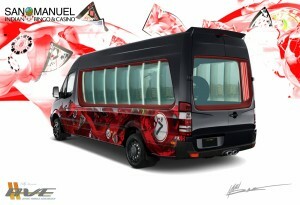 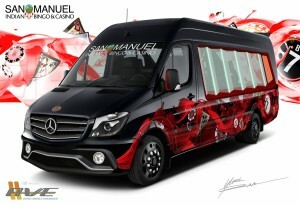 Be sure to look out for this promotional vehicle at any San Manuel (@sanmanuelcasino) event this season.